Lentiviral Packaging Systems | Cell Biolabs, Inc.
Our ViraSafe™ Lentiviral Packaging Systems utilize 3rd generation lentiviral technology to create recombinant lentivirus when co-transfected along with your 3rd generation lentiviral expression vector. Unlike most commercially available 3rd generation packaging systems, our lentiviral packaging systems are provided as separate plasmids, not a mixture. 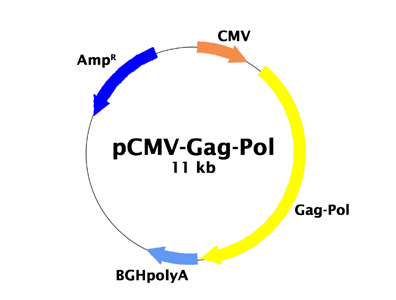 This allows you to amplify each plasmid individually and eliminates the need to re-order a packaging mixture. If you also need a lentiviral expression vector, consider one of our Lentiviral Expression Complete Systems which contain everything provided in our packaging systems plus your choice of 11 different expression vectors.